Two High Sensitive Filter'Tron humbucking pickups pair with the laminated maple body, delivering pristine high end, glassy midrange, robust low end and balanced harmonics for tone that blends seamlessly with other instruments. A 12"-radius ebony fingerboard with 22 medium jumbo frets and striking pearloid Neo-Classic thumbnail inlays tops a maple neck with a comfortably familiar standard "U"-shaped profile for fluidly easy playing. 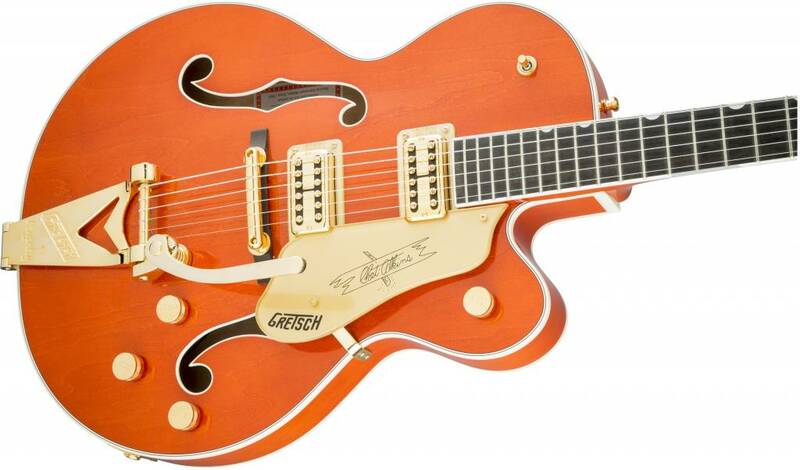 The innovative Gretsch "ML" bracing is specifically voiced to provide full hollow body tones from the thinner, 2.25" body. Controls are simple and versatile-separate bridge and neck volume controls, three-way pickup switching, No Load tone control and master volume-and allow for countless tone variations. The new Gretsch "Squeezebox" paper-in-oil caps add smooth vintage tone while the treble bleed circuit lets your guitar retain all of its tasty clarity when rolling the volume control down. 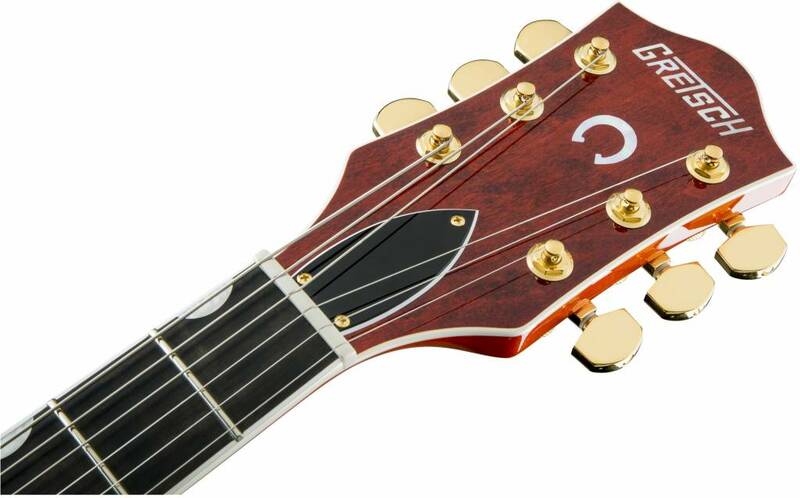 Highly expressive, the Bigsby B6GP vibrato tailpiece and pinned "rocking" bar bridge combine with the GraphTech Tusq XL nut for stable tuning. 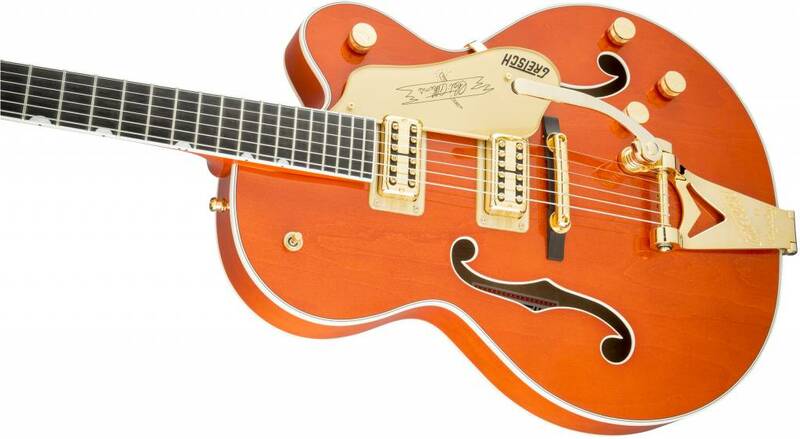 In a uniquely Gretsch touch, the Bigsby tailpiece is now string-through, making it quicker (and easier) to change strings as well as providing increased vibration transfer for enhanced sustain. A treat for the eyes and ears, this guitar is a highly-tuned music machine-from the shining gold Schaller locking tuning machines and gold "G Arrow" control knobs to the F Holes, gloss urethane finish and gold vintage thick plexi pickguard with Gretsch logo. 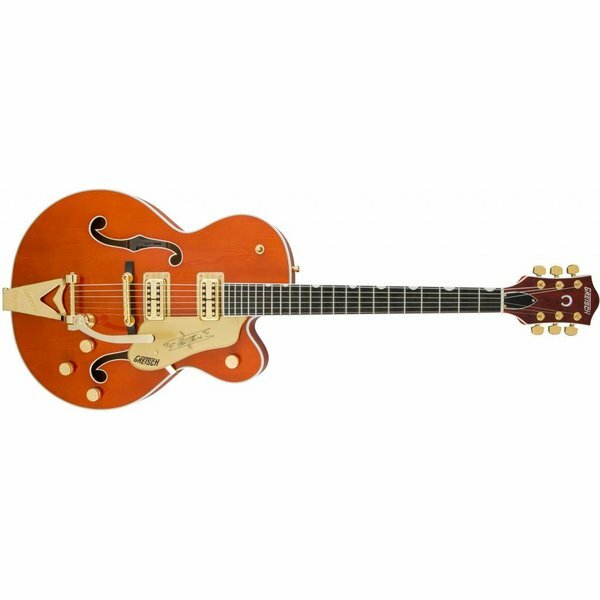 Constructed with sterling fit and finish and an eye for detail, the Players Edition Nashville with String-Thru Bigsby is a marvel of modern instrument design. 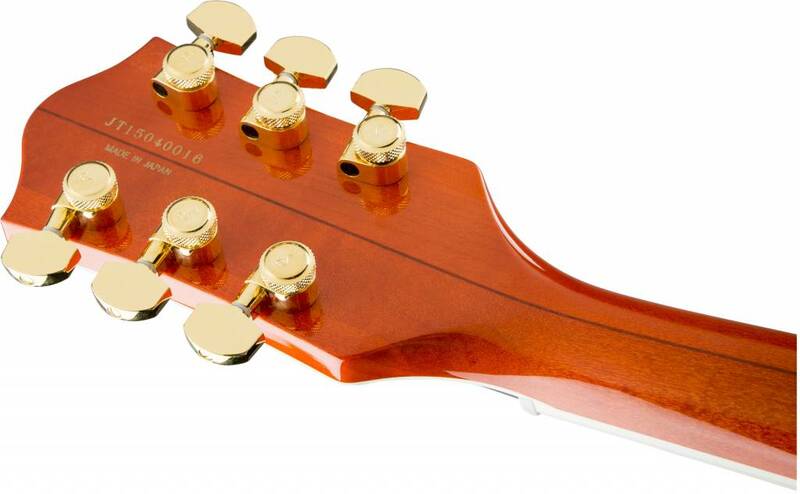 Includes a deluxe hardshell case.